Patrick's father, Calpornius, held both civic and clerical offices when Patrick was born to him in the late fourth century (c. A.D. 390). 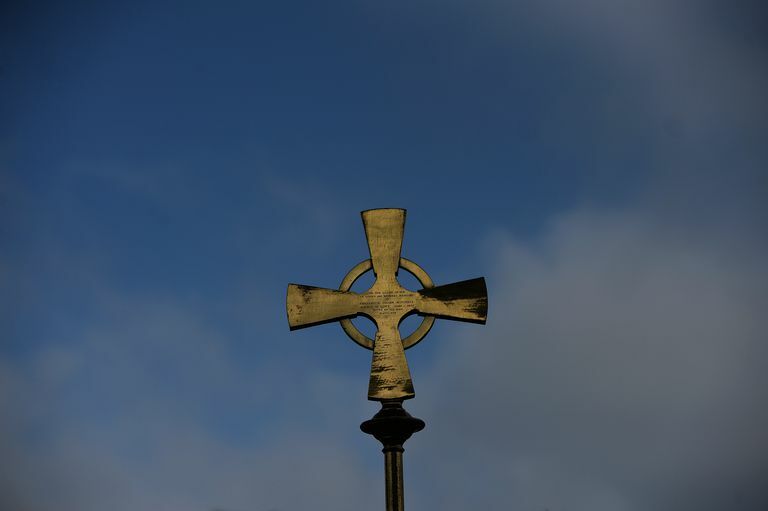 Although the family lived in the village of Bannavem Taberniaei, in Roman Britain, Patrick would one day become the most successful Christian missionary in Ireland, its patron saint, and the subject of legends. Patrick's first encounter with the land to which he would devote his life was an unpleasant one. He was kidnapped at age 16, sent to Ireland (around County Mayo), and sold into slavery. While Patrick worked there as a shepherd, he developed a deep faith in God. One night, during his sleep, he was sent a vision of how to escape. So much he tells us in his autobiographical "Confession." Unlike the work of the same name by the theologian, Augustine, Patrick's "Confession"​ is short, with few statements of religious doctrine. In it, Patrick describes his British youth and his conversion, for although he was born to Christian parents, he did not consider himself Christian before his captivity. Another purpose of the document was to defend himself to the very church that had sent him to Ireland to convert his former captors. Years before Patrick wrote his "Confession",​ he wrote an angry Letter to Coroticus, the British King of Alcluid (later called Strathclyde), in which he condemns him and his soldiers as compatriots of the demons because they had captured and slaughtered many of the Irish people Bishop Patrick had just baptized. Those they didn't kill would be sold to "heathen" Picts and Scots. Although personal, emotional, religious, and biographical, these two pieces and Gildas Bandonicus' "Concerning the Ruin of Britain" ("De Excidio Britanniae") provide the main historical sources for fifth century Britain. Upon Patrick's escape from his approximately six years of slavery, he went back to Britain, and then to Gaul where he studied under St. Germain, bishop of Auxerre, for 12 years before returning again to Britain. There he felt a calling to return as a missionary to Ireland. He stayed in Ireland for another 30 years, converting, baptizing, and setting up monasteries. From Medieval Sourcebook, chapters 23-26 of Gildas' work on the fall of Britain. Various legends have grown up concerning St. Patrick, the most popular of the Irish saints. St. Patrick was not well-educated, a fact he attributes to early captivity. Because of this, it was with some reluctance that he was sent as missionary to Ireland, and only after the first missionary, Palladius, had died. Perhaps it's because of his informal schooling in the meadows with his sheep that he came up with the clever analogy between the three leaves of the shamrock and the Holy Trinity. At any rate, this lesson is one explanation for why St. Patrick is associated with a shamrock. St. Patrick is also credited with driving the snakes out of Ireland. There were probably no snakes in Ireland for him to drive out, and it is very likely that the story was meant to be symbolic. Since he converted the heathen, the snakes are thought to stand for the pagan beliefs or evil. Where he was buried is a mystery. Among other places, a chapel to St. Patrick at Glastonbury claims he was interred there. A shrine in County Down, Ireland, claims to possess a jawbone of the saint which is requested for childbirth, epileptic fits, and to avert the evil eye. While we don't know exactly when he was born or died, this Roman British saint is honored by the Irish, especially in the United States, on March 17 with parades, green beer, cabbage, corned beef, and general revelry. While there is a parade in Dublin as the culmination of a week of festivities, Irish celebrations on St. Patrick's Day itself are predominantly religious. Written by N.S. Gill in 2001.